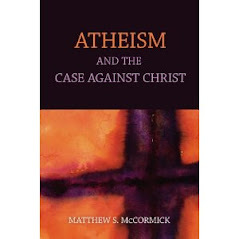 One of the most popular responses to the problem of evil from believers has been to argue that we are not in a position to be able to judge the rightness or wrongness of events that we observe because for all we know, somewhere down the line what appears to be a case of pointless evil today will in fact play an indispensible role in a greater good that justifies it. So ironically, the believer here presses for agnosticism about whether or not instances of horrible suffering and death that have every appearance of being utterly pointless or not worth any good that we would accept. We just can’t know, they argue, whether or not the case will turn out to be pointless, so we must suspend judgment about whether or not it actually is gratuitous evil. And therefore, God cannot be faulted. This agnosticism is coupled, not surprisingly, with a confidence derived from other sources—faith, revelation, the sensus divinitatus, the cosmological argument—that there is indeed an omnipotent, all knowing, and all good God. So even though those cases of suffering appear to be evil, and even though we should be agnostic about them, we can be confident that in fact every case of suffering in all the history of sentience on this planet will work out as a necessary part of God’s plan and are for the better. This shift of the burden of proof for God puts a tremendous amount of pressure on those other sources of information about God to be correct, of course. And none of them prove to be up to the task. One point that deserves comment here is that no morally decent person would ever accept these kind of logical gymnastics as a defense of any other sort of morally evil act by a person. A man named Ottis Toole is suspected of being the killer of Adam Walsh. After Adam was abducted from a Sears store and killed, his father John Walsh, who was leading an relatively unremarkable life until then, was motivated to become one of the most influential and effective anti-crime activists in American history. His program “America’s Most Wanted,” and legislation that he was instrumental in helping to pass have been responsible for putting tens of thousands of criminals in jail. Although Ottis Toole was suspected of being the culprit, he was never charged. But suppose that he had been, and suppose that he offered the “For a Greater Good” defense. Suppose he had argued that he shouldn’t be condemned for murdering (by decapitation) that little boy because of all the good that it created. What should be obvious is that morally decent people would never accept either the agnosticism defense, nor the greater good defense, in real world cases. But what is stunning is that ordinary people with normal, appropriate moral reactions to real cases of moral evil like the Adam Walsh case will suddenly abandon all sense of moral decency when the question comes to God. They will accept any justification, no matter how tenuous, as long as it gives them some slender thread of an excuse to absolve God of responsibility for things that they would never let anyone else get away with. I see the analogy you're trying to draw, but I don't think it fits. It's one thing to advocate agnosticism concerning whether something is evil, quite another to advocate agnosticism concerning whether something is gratuitous evil. If I understand your point, the theistic defense you're referencing argues that we can't know with any certainty whether any given instance of evil is gratuitous (since any gratuitous evil is sufficient to indict a 'wholly good' god). What it doesn't argue is that we can't know for sure whether any event or state of affairs is evil at all; to the contrary, this line of argument assumes that the given instance really is evil--surely you see that the argument that evil doesn't actually exist is an entirely different theistic defense. In light of this distinction, there's no inconsistency in the Ottis Toole experiment: the analogous position to take is that we aren't in a place to judge whether or not the evil he committed is gratuitous, but we can say with confidence that what he did was evil, and so deserving of punishment just as much as any evil. For the purposes of the courtroom, it doesn't matter whether his crime was the source of a greater good or whether it was indeed gratuitous--he's punished on the basis of his committing a crime, not on his crime's long-term moral significance. The cosmic consequentialist calculus is utterly irrelevant to his verdict and sentence. Altogether impertinent. Do you see my point? Am I misunderstanding yours? On a related note, you set up the analogy so that Ottis Toole corresponds to God, but is that really fair? It's not clear to me that God has directly committed any evil the way a criminal has. After all, in what sense is God 'responsible' for the actions of free-willed beings? It seems to me that if a being has free will, its actions are determined by it and nothing else (and of course I'm distinguishing determination from mere influence); when a murder occurs, the murderer is the one who killed the victim, not God. If (and perhaps only if) the created being is endowed with free will, there simply is no causal link between God's creating the being and the being's free actions--the causal chain is broken at the point of free will, as it were. I acknowledge that this is counterintuitive, but it seems to me that a being can't be free in any meaningful sense if its actions were causally determined by events preceding its existence--or, if you prefer, by the nature of its coming to be. This bit about free will might be beside the point, but it's the only way I can make sense of your equating God with the murderer. Let me know if I'm reading you right. I can't agree more with the notion that god is getting a free pass. It is a cop out to argue we cant know all the workings of god. In fact, The mere notion that we can't know gratuitous evil is downright insulting and can only be adhered by the most stuffy and ignorant persons. I very much doubt they have suffered much at all in their lives to feel the real force behind the problem of evil. I believe it is disastrous for the theist to argue that people can't know gratuitous evil. This is because they are in fact arguing against knowing evil at all. Gratuitous evil is evil in its greatest form - it is an extreme.Gratuitous evil is worse than any other kind of evil and as such should be more palpable to the observer. I no doubt believe people can recognize gratuitous evil better than regular amounts of evil. Think of the difference between the killing of a little girl by gang fire and stealing a candy bar from a store. Clearly we would say that the latter is of a lesser evil than the former. Also, in terms of goodness, people can be very competent judges. For there is a clear difference between lesser and greater goods as well. I could help open a door for an elderly person or I could save a child wondering in the streets from getting hit by a car. Both cases of extreme good and evil is knowledge I can confidently say people know. Lesser cases of good and evil are more ambiguous. So if the theist wants to argue for people to lack knowledge of gratuitous evil they must also argue the same for regular evil - the case of evil that is more ambiguous must be harder to judge. This then suggest that the theist is also arguing that people can't have knowledge of evil in general. And this is just absurd. I always thought that the only route a theist can take in the problem of evil is by annihilating the term "evil". In the argument I just gave this seems to be the case. If we were all atheists, would we be rid of sensless evil? Sensless suffering (not inflicted by another, and not known about (deer in a forest fire)) cannot be stopped either by atheisim or theism. Whether I am agnostic about the "evil" nature of the suffering, opt for a not-all good god, or for no god, it will not change anything. The moral obligation some feel to intervene (once aware), is not guarenteed by any position either. True a theist may say that its the will of god and the suffering may result in some good, or believe that god will stop it if he sees fit. The theist might also say he has a duty to intervene based on his religion. The atheist may say that it is not really evil (good and evil are only subjective judgements on what exists) (they wouldn't be starving if they didn't have so many children), or he may say that if he wants it to stop, he can't wait for a non-existent god to interfene, and will act accordingly. Both atheism and theism have in them powerful motivations for action and unfortunately for inaction in the face of evil. Your discussion assumes that the nature of evil is fully known. Not to be somewhat agnostic about claims of evil seems as reckless as not being somewhat agnostic about claims of the good (or god). In libel suits we do check that the evil slander actually caused harm (and not just drove up book sales due to the controversy). Furthermore the ability of people to accept any justification "no matter how tenuous" does not seem limited only to religion. Conspiracy theories thrive on no evidence. Either god controls evil or god is not in control. Either god is in control, or there is no plan. If god is in control, he must control evil as well as good, and so god is amoral. Whether an act is part of god's plan or not part of god's plan, tells us nothing about whether the act is evil or good when god's plan includes both good and evil. When the above makes sense to you, you have, in essence, denied the existence of evil - the existence of wrong-doing itself. For believers like this, the world is their oyster, and they can do no wrong, for no wrong can be done. I don't see how this follows. Can you elaborate? Also, isn't your argument sort of inconsistent? I mean, you say the conclusion denies the existence of evil, but evil must exist in order for the argument to work in the first place. How can that be? "If god is in control, he must control evil as well as good, and so god is amoral." If god has a plan and all things are an unfolding of that plan, god must be behind all things. If evil and good are part of that plan, then god must be behind both good and evil. If god is behind both good and evil, god must be amoral. If one argues in favour of god's plan(tm), one argues against the existence of evil, because if all evils lead to an ultimate good, then evil is good. And so, there cannot be evil. Unless one is arguing that god's plan is amoral (containing both good and evil), in which case, saying that an event is part of god's plan tells us nothing about whether an act is evil or not evil. So, once a plan is evoked, either god is amoral, or evil doesn't exist. The first possibility requires evil, but permits it. The second possibility doesn't require evil, and prohibits it. Putting aside the question of whether god exists or not, and most of us here as atheists already accept the premise that "it" does not, we can see immediately that religion is just another ideology, and that the bi-polar opposition of "good vs evil" is really just concept used to control people. For example, religious leaders and political leaders can easily argue for war on the basis of "we are the good and they are the evil." With no room for anything in between the two oppositions, leaders persuade their citizens or flock to kill and bomb or give the death penalty to anyone who doesn't fit a very limited conceptual scheme. We see the result of this kind of "either-or" thinking in places like Iraq and Iran and Palestine, and we see the large amount of death and violence it causes. But what's important to note here is that if evil is only a concept based on ideology, if there is no such thing as supernatural forces generating evil, then it is ONLY the ideology itself and the cultures and people who construct it, maintain it, and distribute it into the belief pool who are responsible for its existence. That is, pain and suffering exist, but "evil" is simply an idea created primarily by theists. When children are TAUGHT about sin from their parents and are TAUGHT to fear burning in hell, etc., this is how "evil" and all of its baggage and ideology are posited into the world. Ironically, theists not only give god a free pass for "creating" evil in the narrative of their sadistic mythology, but they themselves are responsible for the existence of the idea itself. Therefore, theistic ideologies that posit evil are themselves evil. If god is behind both good and evil, god must be amoral. I follow your reasoning until here. Maybe I just don't understand what you mean by 'amoral.' My conception of the term doesn't permit this inference; at various times in my life I'm 'behind both good and evil,' but I don't therefore consider myself 'amoral'--quite to the contrary, I consider myself profoundly entwined with morality because I'm so involved and conflicted with matters of right and wrong. So I'm not sure in what sense you intend the term. Can you explain? If one argues in favour of god's plan(tm), one argues against the existence of evil, because if all evils lead to an ultimate good, then evil is good. And so, there cannot be evil. I don't understand this at all. One might just as well argue that since all the costs of a shrewd business venture eventually lead to net profit, all costs that are part of the undertaking are actually gains--so costs don't really exist in the business plan. That doesn't make sense: even if an initial cost is necessary in order to make a profit, it's nonetheless an expenditure; likewise, even if an evil is necessary in order to achieve a greater good, it's nonetheless an evil. Unless one is arguing that god's plan is amoral (containing both good and evil), in which case, saying that an event is part of god's plan tells us nothing about whether an act is evil or not evil. This makes sense. But I don't think any theist (or at least any Christian) would deny that evil is part of God's plan (it has that whole sin-and-redemption motif, after all), nor claim that the goodness or evilness of an event is to be judged by whether it's part of God's plan. I can certainly identify with your notions about evil as a sociocultural construct, but are you suggesting that an atheist ought not to believe in the independent reality (or perhaps any sort of reality) of evil? If so, I have to wonder how that impacts the argument from evil. I can't see how you guys think the terms "evil" and "good" are social constructs. I have no doubt that if I shoved my number two pencil into either of your guy's eyeball you would both think it quite evil. Of course it would be commonsesically obsurd to believe that we should be agnostic about evil within the problem of evil context, but the theist can absurdly say that the alleged evil is really an illusion and therefore a test of faith. Example, when a fried gets shot and killed, he "really does not feel pain, we just believe it by what we see, but god saved him from the pain". I'm sure many more absurd example's could be given by that. And they are possible realities that are seen by most rationalists - I hope - to be less probable than what science or common sense tells us about the exterior world. There is another problem concerning evil, science would have it that only natural evil's exist, i.e. pain and catastrophe, for if there is no free will and the world is controlled by quantum mechanics which is randomness within probability or/and einsteinian classical physics which is determinism, then only natural evil is possible. Maybe there is an escape for our moral sentiments in some theory of mind where the study of the physical brain cannot grasp. Carlo...you don't see how a "term" is a social construct? For the atheist, saying the word "evil" refers to a different concept than the theist refers to. "Evil" on an atheist's view would amount to something like "pain and suffering in the world," but of course we could be much more specific in our reduction of the "term." For a theist "evil" refers to an ideological concept dependent upon the untenable bi-polar opposition good/evil in which both terms are supposed to refer to a "supernatual/transcendental" signifed for their meaning and ontological presence. Now how can an atheist hold the theist's conception of evil without contradicting their own position? In fact, the atheist really doesn't help herself much in even retaining the term, because as I mentioned above, it carries the baggage of an "either-or" opposition which is ideologically loaded and self-contradictory. Thus, from an atheist perspective, the term "evil" should be theoretically eliminated because it really only refers to concepts/signifiers such as "pain" and "suffering," which are more theoretically applicable, practical, and reflective of the actual state of affairs in the world. Maybe the problem of "evil" should really be about the problem of untenable bi-polar oppositions. "Carlo...you don't see how a "term" is a social construct?" Society doesn't dictate what is good or evil. You are arguing for relativism here. The terms "evil" and "good" signify actual objects in the world. They have properties and are recognizable by people from all walks of life. "(Hint: all language and concepts ARE social constructs)"
This is false. Language evolves. Constructed languages are created by humans. Think of computer langauges. Concepts aren't created either but rather discovered. You are arguing for compete relativism here. I dont think you realize the implications of your claim. Further, you have no right defining what atheist or theist believe about what the term "evil" means. I don't know how you could of arrived at such a conclusion. Do you have a survey handy supporting such a notion? "if god has a plan, then god is ammoral etc. Rather than absolute good and evil, I feel more comfortable talking about simpler goods and evils, and leave aside for the moment whether goods or evils exist. Take free speech. This I shall consider good. This does not mean that the people who tolerate some degree of hate litterature (evil) either control it, or see it as necessary to acheive a greator good. Rather they risk the damage that allowing hate speech might cause, rather than risk losing some of the benefits of free speech. To conclude that they control it would be to assume that there is only one actor. That hate litterature is a necessary step towards eventual racial tolerance is not something I would argue either. I don't think it is correct to think of religion as a simply a stupid idea (or circular argument) that is never tested. If we consider pain as evil, then we could imagine a good god, that would be obliged to place a pillow in front of us every time we tripped, or a shield if a spear was thrown at us. But like the ghost dancers, the followers of this religion could either quickly stop believing in their pillow god, or be destroyed by the first attack. Or they could alter their idea of god, and evil. Any religion (as humans are the only vector for transmission) seems to me to be under enormous evolutionary pressure, to conform to reality in all the practically important ways. So I see the statement that "its part of god's plan", as equivalent to the statement "what happens, happens". It is not necessarily psycopathic. "The terms 'evil' and 'good' signify actual objects in the world." For example? If this is true, then you should be able to easily list a few of these non-socially constructed "actual objects" of "good" and "evil" in the world. As to the issue of language. I'm not arguing that humans don't have an innate ability to communicate phonetically, but clearly languages are conventional and dependent upon culture for their meanings -- the spoken and written language of an African tribe differs greatly from that of a NY tribe of lawyers -- their cultural experiences and thus conceptual systems are unique. "Meanings" within languages, which are constructed by people, and EVOLVED through cultural experience and practice, are entirely conventional. I am not a relativist though. As I said before, I think we atheists can reduce the term "evil" to something more accurate like "pain and suffering," but the theistic conception of good and evil is indeed based on a transcendental signified -- god/devil. As for what words and concepts "refer to," they refer to each other in a chain of difference which creates "meaning." There is a basic existential experience people have that motivates the need for a system of language, and an objective world of "things" for concepts and words to reflect well or badly, but WE as language users can never get outside the language system. This is why in Iran they see Americans as "evil" and here in the US evangelicals view the Iranians as "evil." Clearly Americans and Iranians aren't both evil? Their conceptual schemes refer to different things, have different historical points of view, and so on. If language was really "natural" in the sense that all humans shared it from BIRTH, then we really would share it and all the concepts that go along with it, but we don't, and conceptual schemes vary greatly between cultures, and even inside of them. It seems to me that the whole point of good and evil is to distinguish between that which aught to be, and that which aught not to be. It's a binary that labels each side of a paper thin moral divide. If god sits on both sides of the divide, he is indifferent to good and evil. An indifference to good and evil is amorality - at least, as far as I understand it. Even if we say that god's plan is ultimately good, morality is not introduced, but rather, the possibility of evil is denied, rendering good dangling meaninglessly without the possibility of evil to contrast itself against. This is also amoral. Without the existence of evil, there can be no questions of right and wrong. I understand this, but, if you were to say that the evil you're behind is ultimately good, it stops being evil, and suddenly you are involved and conflicted with matters of right and right. If everything is ultimately good, there is ultimately no evil, and nothing to be conflicted about. Of course, there is something to be conflicted about, so god must either be amoral or not god. That seems to make sense because you are comparing apples and oranges. Profit and expenditure are not diametrically opposed like good and evil are. Profit and loss might be more appropriate. If an expenditure led to loss it would be evil, but if an expenditure lead to profit it would be good. One must remember that morality asks whether something aught to have been. If my expenditure lead to my profit, and profit is good, then that expenditure aught to have been, and that which aught to have been is good. Many Christians believe that evil does not come from god, and so, is not part of god's plan (from whence it comes they try not to think). In fact, many don't believe in a plan at all - you know, freewill and all that jazz. That's exactly what they say when they write something off as "part of god's plan". "It's not so bad, after all, it's part of God's plan". "I know your brother was just murdered, but it's all part of god's plan". "Everything happens for a reason." There's no other reason to invoke god's plan but to imply that the existence of that plan somehow makes bad... less bad. I am still having a hard time understanding what you meant by "social constructs". You appear to still think we humans created our language like we would a computer program. But this mistaken. Sure, syntax can be added but language is evolving. Societies don't dictate language nor do they for what's good or bad. Such things originated and subsist in nature just as the tree or the rock. I think maybe you meant to say something else since you say your not a relativist. Perhaps I misunderstood you? Maybe you were just adding that societies has different norms and customs. This is a description I ma sure we can agree on. However what is good and evil doesn't change. people may try to call it different things and add their connotations to it but evil is always evil and good, good. As for why I refer to good and evil being objects. Well I am a naturalist. What we do is naturalize things. How else would you want things to be? Supernatural? As a skeptical person you surly have a motivation to eliminate the ontological status of "good" and "evil" from spooky and/or abstract to real objects in this world. Unless you like to think of them as mysterious? I am sure you don't have a problem calling someone that has so much force and presence in both our lives as real as the table that sits in front of you. Both objects are a part of the natural world. Its just that one is more physical in terms of what we conventionally want to see. Yet it can be clearly argues that evil has a greater impact on our lives than a mere table. So why would we call the table a real object and evil not? Good and evil are properties. My bad. It' been awhile since my naturalism course. carlo: I not sure one can say that human language is part of nature while human society is not. And, it seems to me that the human creation of language and the evolution of language are not mutually exclusive, but rather, that the human creation of unique utterances is part of the evolutionary process that results in human language. "carlo: I not sure one can say that human language is part of nature while human society is not"
Nowhere have I ever made such a claim. You are confused. What is a morally decent person exactly? Is this a person who belives in something to be self evident based on their lifes background and experiences? If so, wouldn't this be different for me....or you? How can we say that anyone is any more moral or ethical than another person when each person's background tells them they are right? State laws differ dramatically as do their residents so it's hard to see the clear line here. I'm sure that most American's agree that murder is wrong, however, support for the death penalty or war have been apparent for centuries. It seems that their is a lack of responsibility. Indeed, believers will accept any justification because if they don’t their God would be placed in the hot seat only to be faced with an obligation of responsibility. Since God can’t actually make it to any court rooms, someone has to defend him and control the public’s opinion of his decisions. What came to mind was that believers were actually passing judgment on their God and attempting to control the degree in which he may be involved in a particular “evil” infested situation. The believer’s response to the common question, “how could your God have let this happen,” is simply quality control. The believers are simply protecting their God from outsiders/nonbelievers passing judgment upon their God. Afterall, you can’t have an evil and just God. You seem to have, and I certainly am. You seem to be stating that language doesn't evolve for social reasons, and further implying that this is the case because such things are "in nature". This leads me to believe you're under the impression that nature is something outside of society, or vice-versa. However, if you aren't saying that society is outside of nature, I'm not sure how saying language originates in nature says anything about society's role in the evolution of language. "You seem to be stating that language doesn't evolve for social reasons, and further implying that this is the case because such things are "in nature". This leads me to believe you're under the impression that nature is something outside of society, or vice-versa." This is absurd. I never said anything like this. In fact, I can hardly even make sense of what your saying. My posting was that morality isn't a social construct bur rather something that exist naturally. It has a biological basis rather than it being created by humans. Social construction isn't a natural process but rather artificial (see below). It is also associated with moral relativism. My example of the pencil in the eyeball was to illustrate that morality is objective. What is evil and good is a large part of our morality. I don't know where your going with such absurd conjecture as me denying society in nature etc. You're the one who espoused a relativistic view - that evil is social construction. This I believe is false and I gave an argument for it. For you to grasp straws about the definition of nature appears to me to be a strawman man fallacy. Come on, you can't say I misunderstood you while saying you misunderstand me. You really have to understand what I'm saying in order to understand that I've misunderstood you (I think we're witnessing the evolution of language right here). But ok, I'll try to be clearer. I understand that. My point was that it isn't an either/or choice between social construction and nature, after all, society has a biological basis itself. I think the misunderstanding here is that I don't recognize the romantic distinction between natural and artificial - as some social constructivists and naturalist seem to. Nothing humans do is outside of nature. However, that doesn't say that society doesn't construct language. Firstly, from my religious experience, the theist position is not agnosticism in respect to evil and the goodness that comes from it. Rather, the position is simple: God knows best, and what appears to be a shameless evil actually has a purpose. The theist just does not know what it is – but he or she knows the evil will lead to some good. (Or, that the evil was warranted, whether or not it leads to some good). From this, however, we lead into the problem described by Rowe. The problem is that the theist cannot rationalize this point of view. Regarding America’s Most Wanted analogy. At first, I thought something was wrong with the analogy. I still can’t put my finger on it, but perhaps I can shed some light on it later in this entry. So, the crux of the illustration is that a cold-blooded killer would not be off the hook if he said his evil will lead to some greater good later. So, why should God be off the hook? That is, God presumably allows for this greater evil. And, the theist would assert that the evil leads to some good. So, here’s my question. Are we granting that some evil that God allows leads to other goods? In the same breath, we are saying that the criminal cannot take this line of action because it’s clearly the wrong type of argument. This is granted. So, are we agreeing that when God allows evil, God is doing so for a greater purpose? But, because we wouldn’t allow this type of excuse for the criminal, we shouldn’t allow it for God. Or, in other words, it is also unacceptable for God to use this excuse. But, I think, God has a different playing ground. (This is where I can’t really put my finger on the ‘problem’ with this analogy). Let me lay out what the theist might say. For starters, God need not validation for allowing evil to happen in the world. There is not a jury watching over God. While God should have control over all occurrences, the law of natures cannot be compared to a free-will, sentient being's actions. Therefore, with natural evil, we cannot hold God to the same America’s Most Wanted standard. I might be off on this point, not sure. I think I see your point. Are you saying that what might be good and evil for us, isn't necessarily good and evil for god? This would fall in line with theists who believe in an indifferent god. So if an evil cannot immediately be considered gratuitous since it might lead to a greater good or since it might have prevented a worse evil, how will God judge me? Will I be judged for a specific act and its immediate effects or for the greater consequences stemming from it? For example, if I cut someone off on the freeway because I was daydreaming, and if this person I cut off snaps and kills tens of people in a mall, am I responsible? What if that person happens to kill a person who would have become the next Hitler? Will my actions then be judged as not so bad? My question is why do atheists waste time on proving that a non existent God is wrong?what threat is he offering? It just seems so much knowledge is focused on a worthless subject... you all seem very smart in your writings why not invent something or invest in new businesses? But I can give you a reason why you won't relent on this specific topic...Because Jesus has not relented in saving lives and reminding us of his provision in the lives of believers! Everywhere you go it seems God is mentioned.. why is that? can we all just be crazy brainwashed people like zombies in the walking dead?? I think not because then more than half this world would be irrelevant. So many people from prison or bad backrounds have changed down the road for a greater cause to serve christ and they make differences in this world.. can you look them in the eye and say their wrong even though change is evident? your just creating arguments.I recommend reading lee strobels case for christ he was a young reporter who was an atheist and began to research who Jesus was and is now.his curiosity changed his whole life because evidence of the king outweighed nay sayers that had no contradicting evidence of him being real. He is now a christian and he provides evidence and gives answers to much asked questions. And God is in control! If as people we went through no hardship and just walked on candy apple roads then we would have no personalities or victories of overcoming bad circumstances he does use a situation satan has created and make it work to glorify him in some way but he is not the cause of evil he died a brutal death because of it why would he promote it. To be honest he didn't even have to accept us in our filth yet even athiests he loves but you will not accept his offer for eternal life so don't blame him for hells flames your opportunity to accept him is now. His love is what covers all sin and he tells us we as christians can do nothing to glorify him unless we love first. God bless each and every one of you!